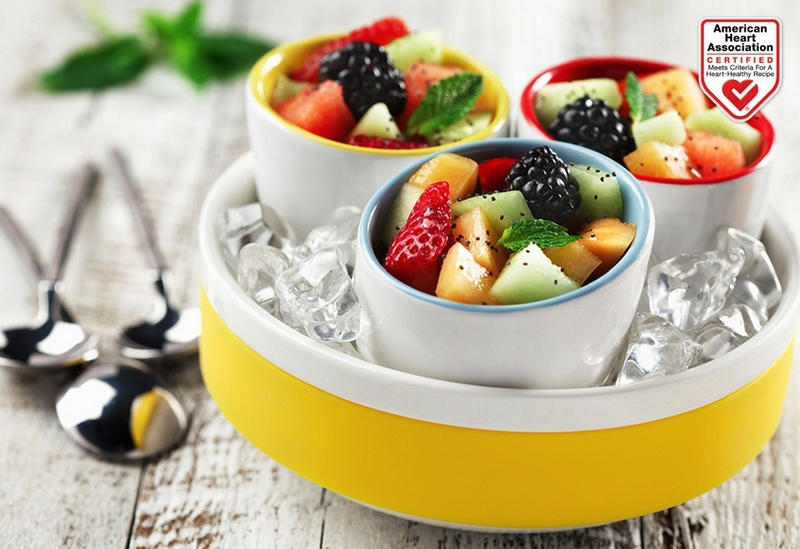 The Mojito dressing adds a real sparkle to this colorful fruit salad. 1. 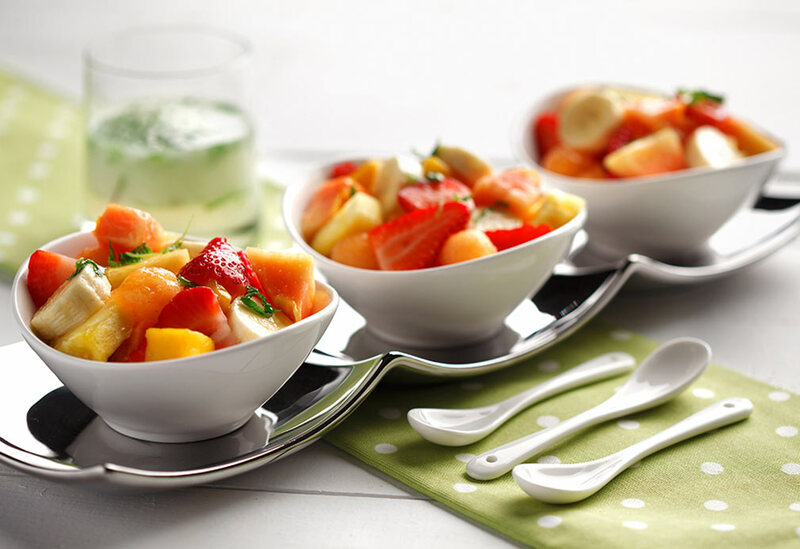 In bowl, combine all fruits and toss lightly. 2. In container, combine canola oil, lime juice, zest, club soda, rum, mint leaves and sugar. 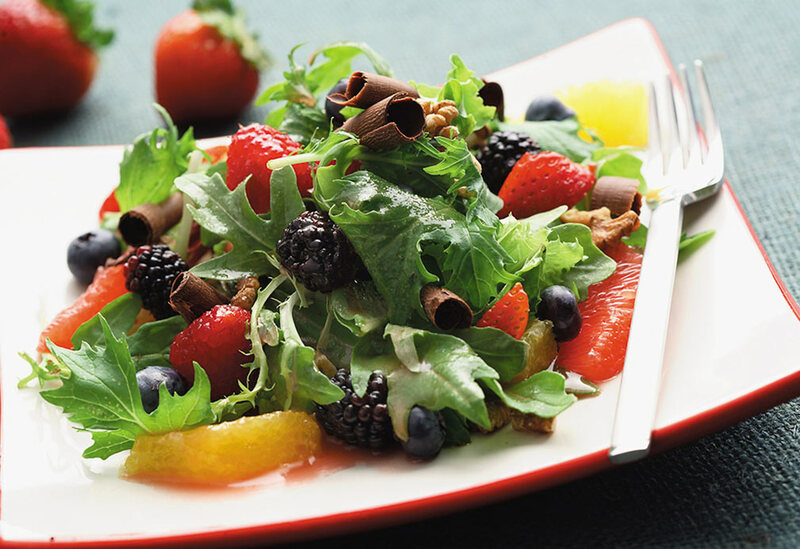 Drizzle dressing over fruit salad. Serve immediately. 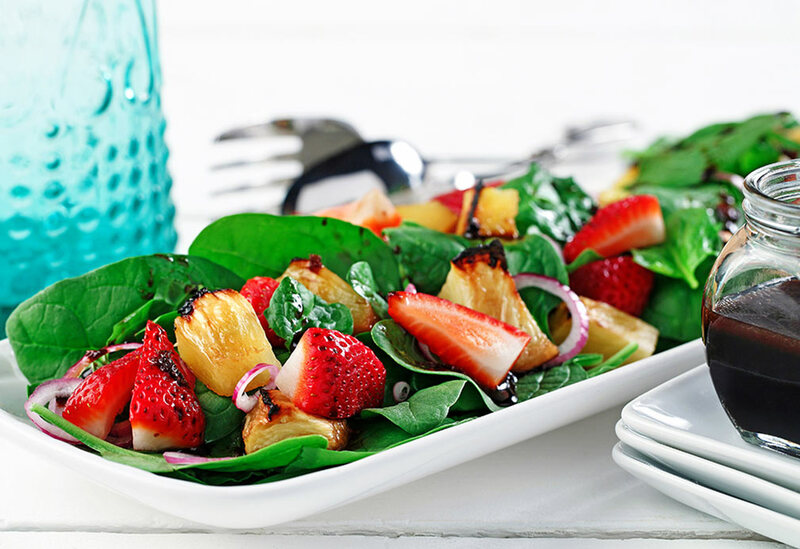 Cook's notes: Salad can be prepared in advance; add bananas just before serving. Walnuts, chocolate, pomegranate, honey, canola oil and fruit just say I love you!